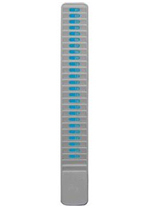 Here at UK Time Solutions, we supply an extensive range of ID card and badge holders, Time card racks, A4 document control racks and Staff In / Out indicator display panels. Our ID badge holders and time card racks are surprisingly efficient for both your business and your employees, making it more convenient by displaying the cards in a precise controlled manor.. Having time card racks will mean that employees have easy accessibility to clock in and out of their shifts and needn’t worry about misplacing their ID card or leaving it at home because it will be in the control rack! Any business can benefit from the ID card holder, it’s a simple addition to make to your business that has an immense impact on the safety and security of employees. 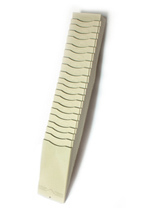 The ID badge holder will store ID badges and cards safely, identifying which members of staff are present and which aren’t, ideal for staff roll call procedures. 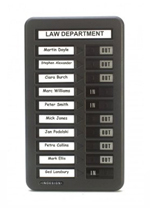 The time card holder and racks that we provide are available in an array of sizes, suiting the style of the clocking in cards you have. 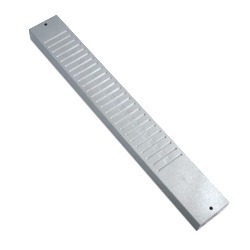 At UK Time Solutions, we don’t only provide clocking in card racks that are practical, they’re also manufactured to offer the highest level of quality possible, ensuring they will provide you many years of service. 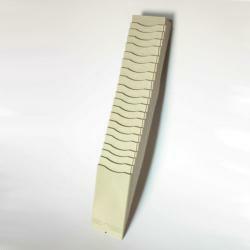 Check out our range of time card racks & ID badge holders here! In / Out Indication Panels. 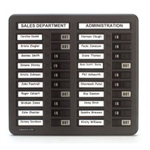 A must for any busy office, the boards display staff attendance at a glance with this quality In / Out display board, they can be easily carried to a muster point or safe area for roll call purposes in the event of an emergency. 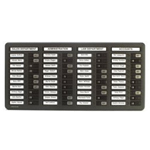 Keep track of staff movements for security and safety purposes with these In/Out boards that can be removed from the wall and carried to assembly points in the event of an fire roll call. Know exactly who is in on-site with these attractive In/Out boards, they will provide staff roll call indication in the event of a site emergency. Hold all your A4 job sheets and documents to hand, improve paperwork efficiency, organisation, location and document control in any application. 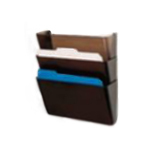 Plastic stackable card holder for A4 job sheets and cards. 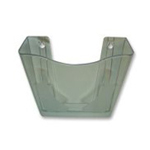 Clear perspex plastic rack for A4 job cards and job sheets. Supplied in a pack of three stack-able pockets. Strong Plastic Construction with 2 Keyhole Fixing Slots. 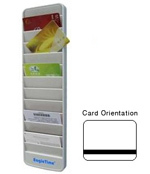 The card racks hold either 40 or 60 credit card sized cards or id badges / smart cards. 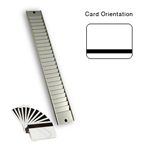 Ideal for ID Cards and Badges, Clocking / Swipe Cards & Credit Card Sized Attendance Badges. The RBV swipe card holder displays 25 credit card sized card in portrait mode , 55mm (W) x 85mm (H) credit card sized cards. 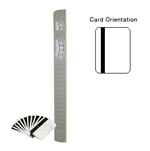 RBH12P card rack accepts up to 12 credit card sized cards or ID badges, suitable for cards 85mm (W) x 55mm (H). 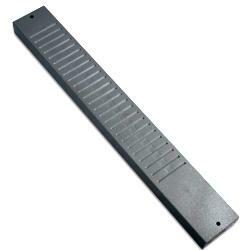 RBH24P badge rack accepts up to 24 credit card sized cards or ID badges, suitable for cards 85mm (W) x 55mm (H).